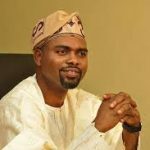 The Chairman of the Lagos State House of Assembly Committee on Health Services, Mr. Segun Olulade, on Monday urged health workers to be prompt and efficient in health care services. 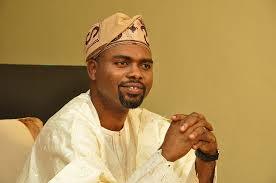 Mr. Olulade made the appeal when he led another member of the committee, Mr Jude Idimogu, on an oversight visit to the Randle General Hospital, Surulere, Lagos. The legislator made the appeal following complaints, by patients, of delay in accessing services due to shortage of personnel and negligence by health workers. “We are all here to serve the people of Lagos; it is sad that some people receive tax payers’ money as salaries without being prompt to services they were engaged for. We can do a lot without necessarily engaging more hands if our staff are efficient. We should stop giving the impression that we have shortage of personnel. “I believe that what we need is efficiency from health workers and not more hands. We have many doctor, nurses, and record officers and so on who can provide world class services. Everybody is expected to do his or her duty without delay,” the lawmaker said. Mr. Olulade said that the state would not make the desired progress if its workers would not change their attitude to work. According to him, the government has budgeted a huge amount of money to rehabilitate and equip hospitals as well as employ more health workers to improve healthcare delivery. He said that the state government was committed to improving its health institutions and making the state a medical tourist centre.